Tremella Fuciformis, also known as the Snow Fungus, Shirokikurage or white jelly fungus is a species of fungus that has a white, frond-like, gelatinous basidiocarps (fruiting body). 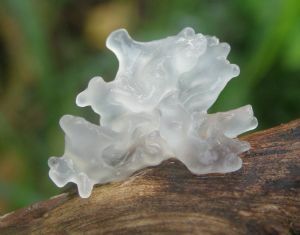 Widespread in the tropics, Tremella Fuciformis grows on the dead branches of broadleaf trees and is one of the most popular mushrooms in Chinese medicine and cuisine. Snow fungus is used in many leading skin care products as well for multiple other traditional medicinal uses.